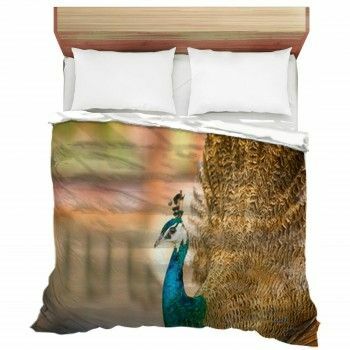 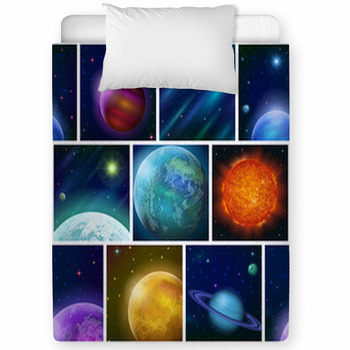 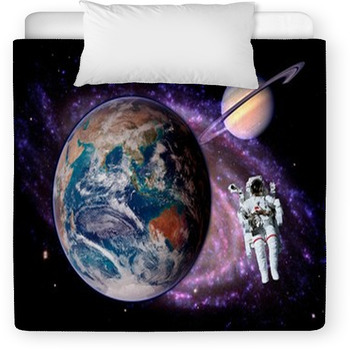 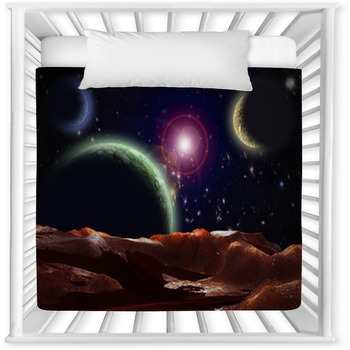 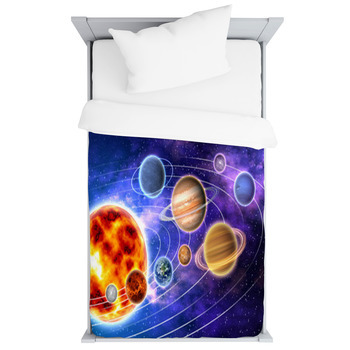 Connect your child to the universe with our Solar System Baby Bedding. 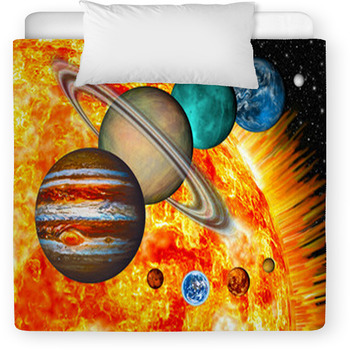 From Saturn's rings to the red glow of Mars, our neighbors are pretty interesting. 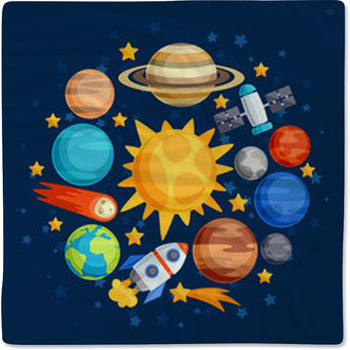 And the way they just stay there in Space, orbiting the sun on their own tracks, held in place by mysterious gravitational forces, is awesome. 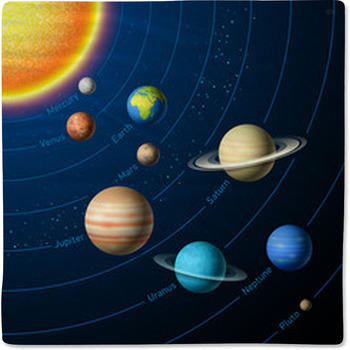 Surround your child with our solar system and extend a sense of wonder to its most distant planets, whether they're where they should be or freed from their orbits to mingle.